I think it turned out pretty cute don't you? 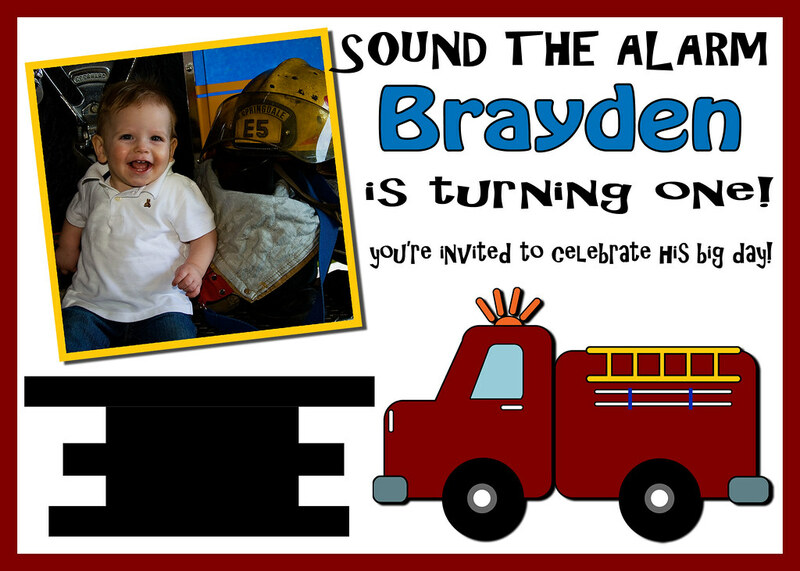 The fire engine on the invitation is a key decorating piece throughout the party. The cupcake toppers, goodie bag tags and even his cake (that I am bravely making myself thanks to encouragement from friends in our community group this semester) will have the same fire engine. I also found cute little blow up fire engines on clearance at Party City a few months ago to use as center pieces on the tables. They were only $1 a piece, so I couldn't pass them up!